This copy just goes to show how well received W. W. Jacobs's macabre tale is worldwide. At right is displayed a single page from a Singapore textbook being compiled for the study of story-telling by Pearson Publishing. 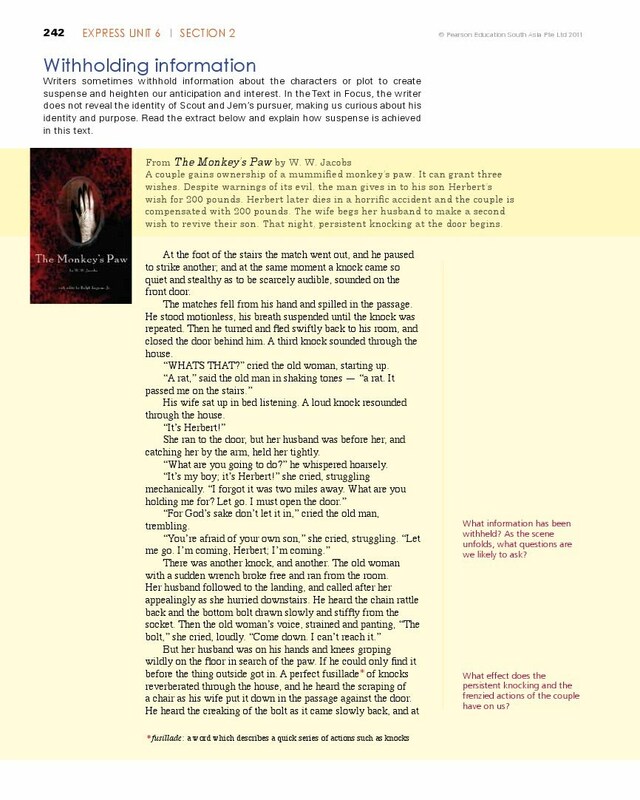 Pearson Publishing has permission to reprint Monkeys-Paw.com’s cover version of "The Monkey's Paw" until 2018.